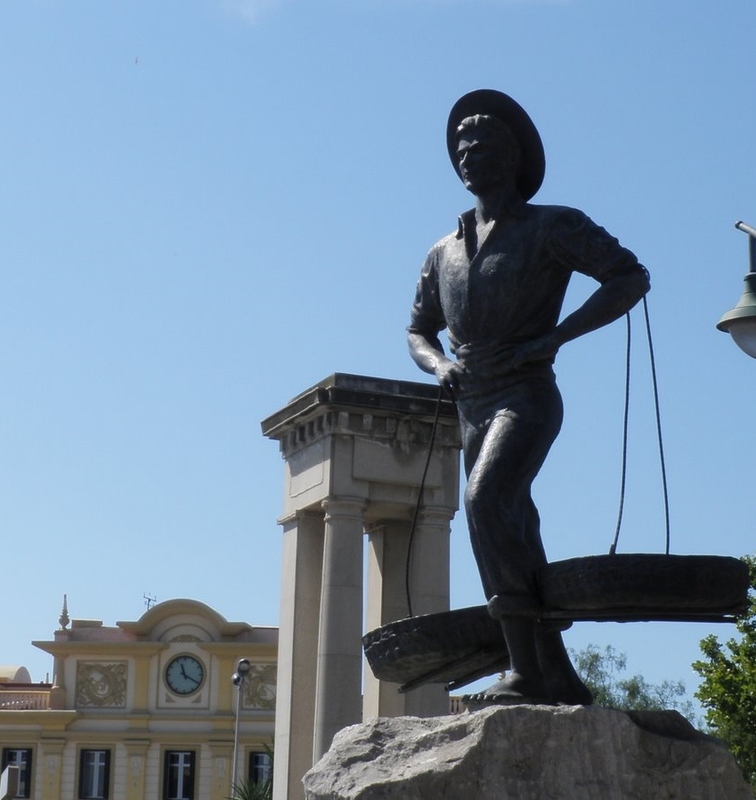 One of the most emblematic statues in Málaga has an association with food of course! 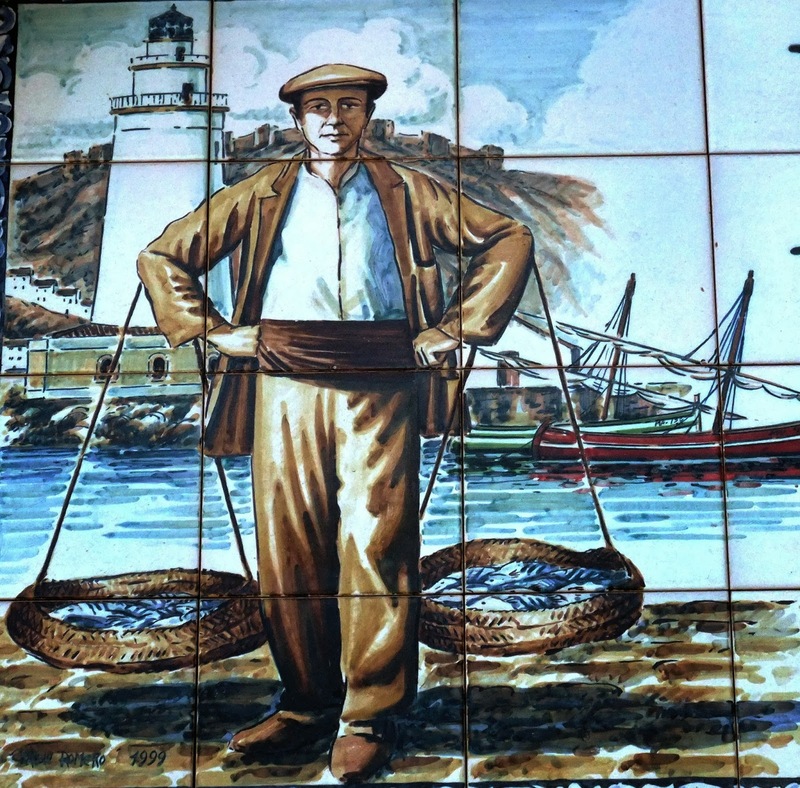 The “Cenachero” is a most loved historical figure in the city and mostly sold the “boquerones” (anchovies) and “sardinas” (sardines) that today have become synonymous with the city. This statue is located behind the tourist office in Plaza Marina on the north side of the road that overlooks the entrance to the port. “La Noria” (the big wheel) is nearby. 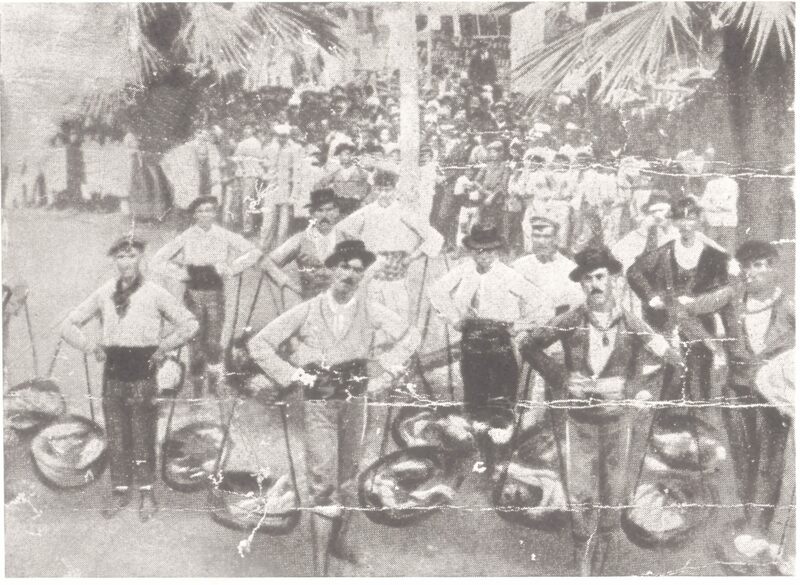 Cenacheros take their name from the “cenachos” which are the two baskets they carried the fish in. The baskets were hand made from “esparto grass” that used to grow along the borders of the beaches. Cenacheros were seen throughout the city selling their fish and always wore a hat (to protect them against the heat in summer) and a coloured sash around their waist. This bronze was created by the Malagueño sculptor Jaime Fernández Pimentel in 1968. There is in fact a copy of the statue in Mobile in Alabama in the U.S.A which was given to the city by the City Council of Málaga. 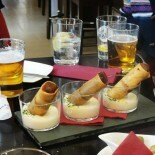 This entry was posted on March 13, 2016 by Tapas in Malaga in Architecture in Málaga, Citybreak Destination, Culture in Malaga, Málaga, Uncategorized and tagged Anchovy, Andalucia, Boqueron, Cultural Visits Malaga, Foodie Weekends in Malaga, Gourmet Spain, Malaga Historic Monuments, Malaga Shore Excursions, Málaga, Monumental Malaga, Sardines, Sites of Malaga, Spain, Statues in Málaga.